Excellent for upper extremity muscle conditioning and cardiovascular exercise. Comes standard with electronic (ear clip) pulse meter that measures pulse, time, distance, calories and speed. An adjustable chestpad stabilizes patient. 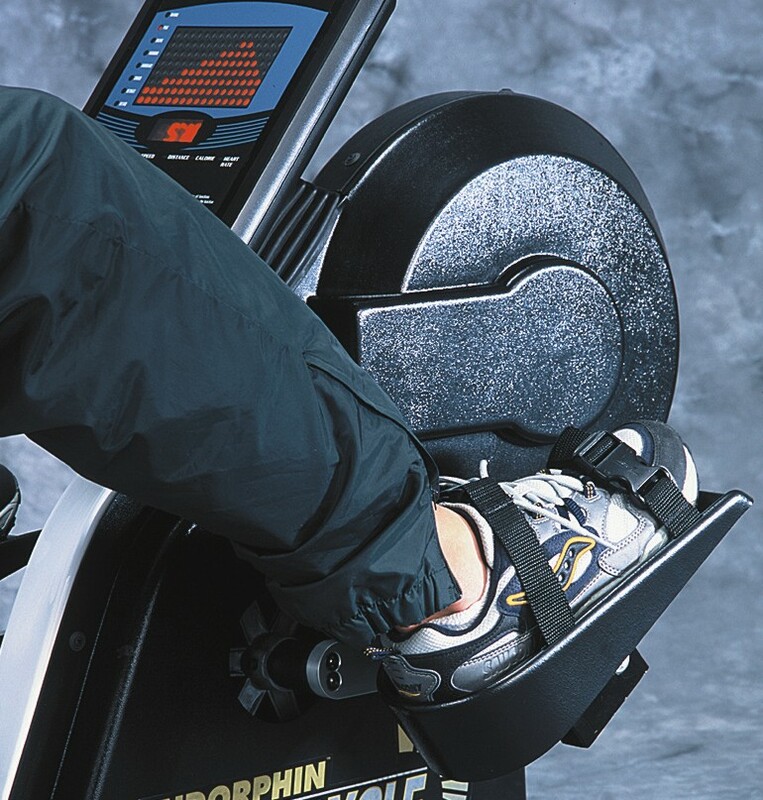 Optional foot pedals (10-2925) or foot plates (10-2921) are available for lower extremity conditioning. Workload is adjustable, but not calibrated in watts. Flywheel weight is 7kg. Partial assembly required. Model 10-2920 generates resistance in clockwise (normal) pedal rotation only. Large LED matrix display monitor with workout selection. Sessions range range from hill climbs to automatically controlled target heart rate programs plus a manual select mode. External power supply 110V is required. Model 10-2924 generates resistance in both directions of pedal rotation. Has multi-function electronic pulse meter which reads distance, time, speed, calories and pulse. The 2nd photo on the right shows detail of the control panel and also the optional "Quad Grips". These are optional adjustable, triangle shaped handgrips for limited grasp patients. 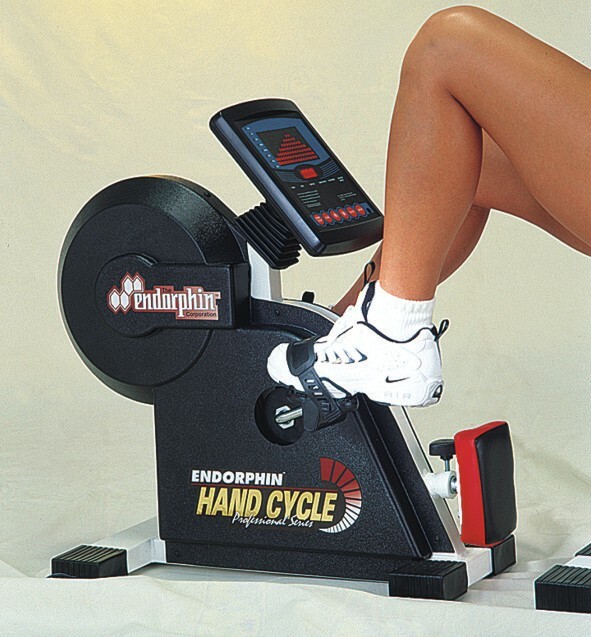 Model 10-2923 Cycle Table shown in the 3rd photo is a heavy duty table for the arm ergometer. It is height adjustable and wheelchair accessible. The 4th photo shows the optional Foot Pedals no. 10-2925. See below. The 5th photo shows the optional Foot Plates no. 10-2921. Patient's feet are secured to these optional 11" x 6" foot plates using adjustable straps and heel supports. See price below.